CONTACT THE OWNER - ENQUIRE NOW ABOUT ID: 35126 - CLICK HERE ! 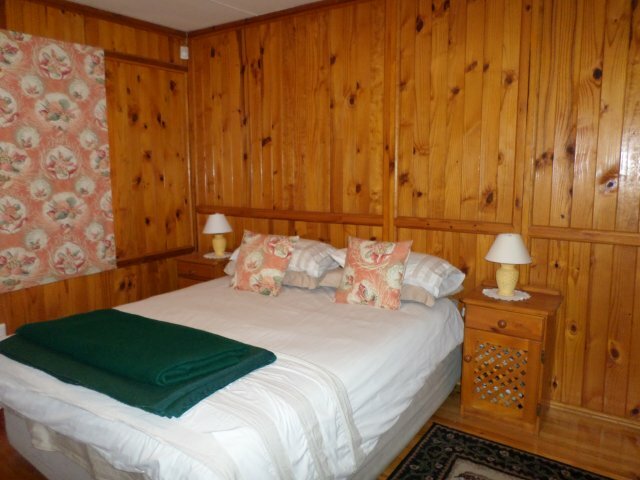 Rates Comments : R3000.00 per night min of 14 nights. Available till 28 Dec. 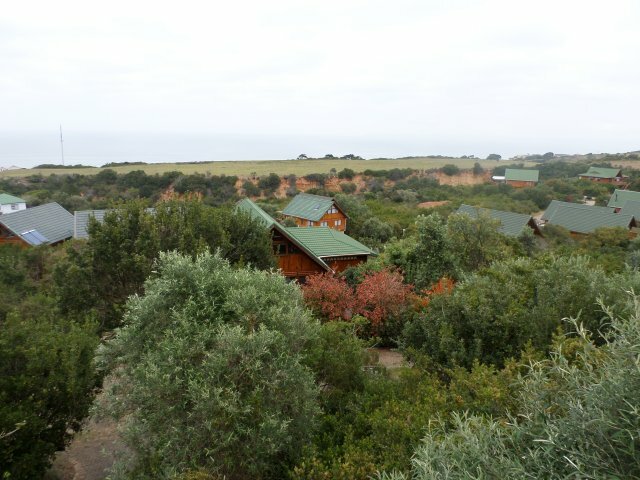 Description : This 5 bedroom house with sea view is located in Outeniquastrand, Groot Brakrivier. The house has an auto garage with single parking space. The other parking is used by the owners for their holiday motor. The door leading from the garage leads into a 2 bedroom flat. The flat has a sliding door into the living area with TV. 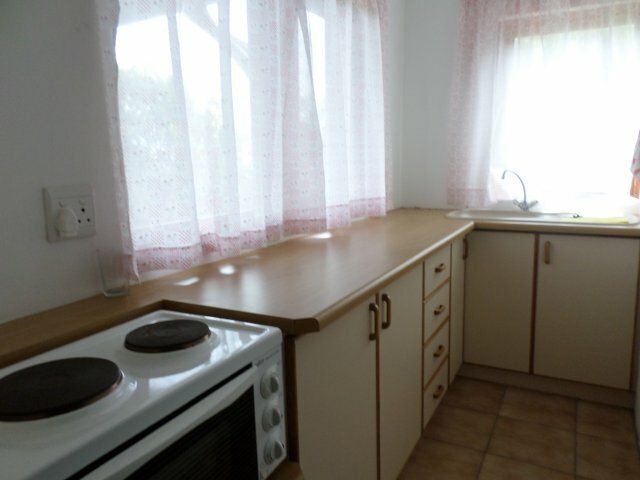 The kitchenette has a 2-plate stove with oven, fridge/freezer and basic kitchen utensils. 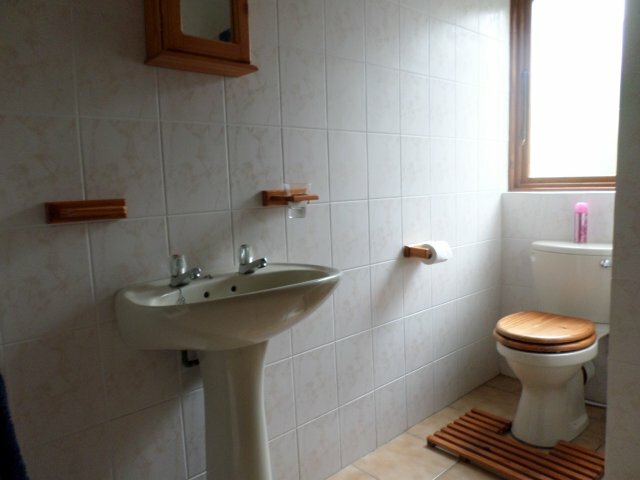 The 2 bedrooms share a bathroom with shower, toilet and basin. 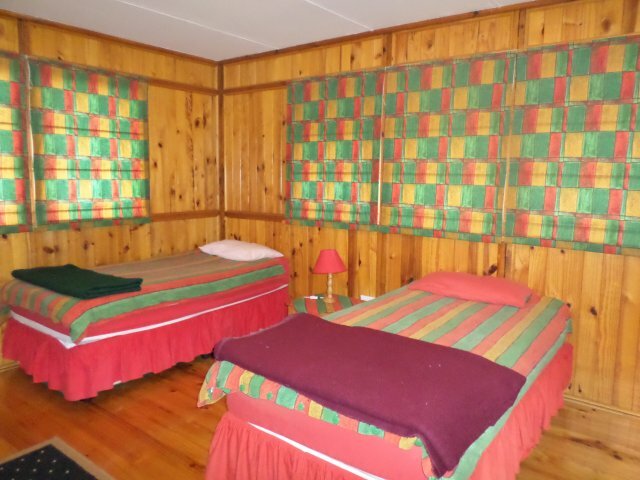 The first bedroom has 2 single beds and the second bedroom has a double bed available. The staircase from the garage leads to the main house. The garage also houses the washing machine, tumble dryer and chest freezer. 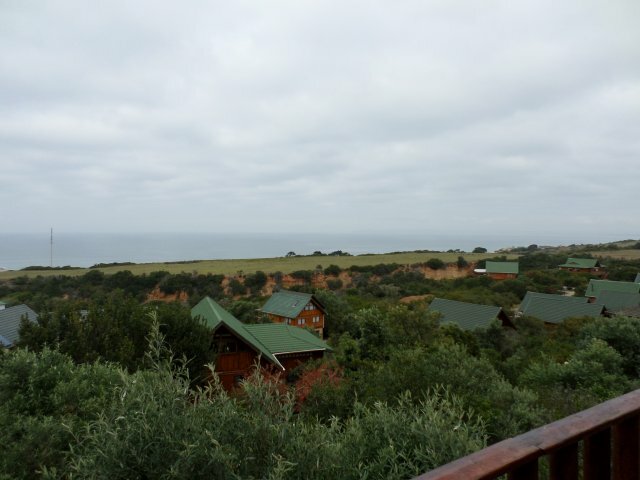 The main house with its plenty of windows offers fantastic views of the ocean. The open plan living/dining and kitchen area is spacious. The sliding door from the living area leads onto a wooden deck with sea views. 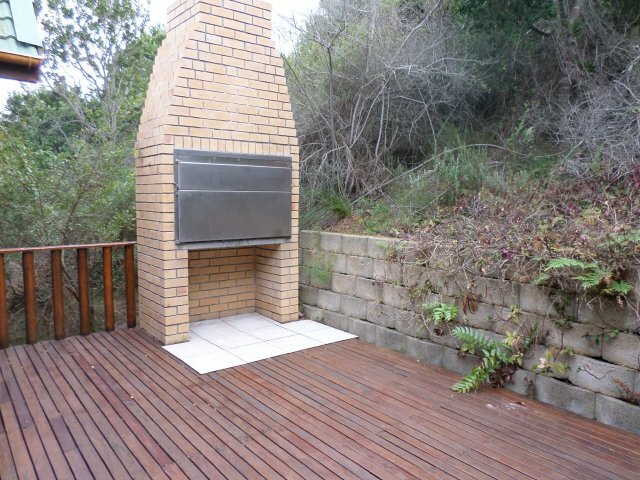 The deck has an portable braai and garden furniture available that may be used to the back of the property. 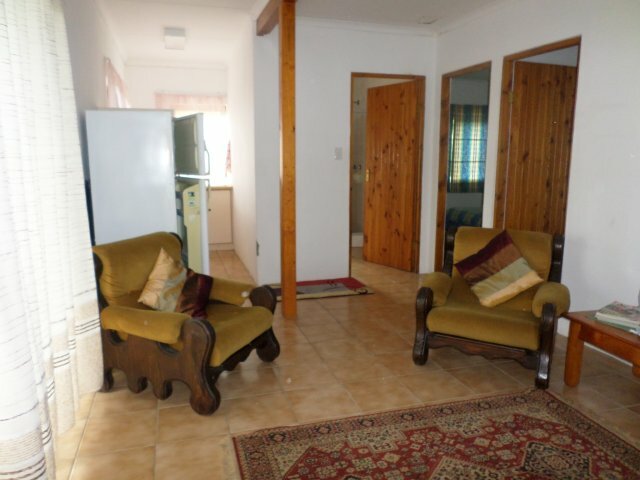 The living area has a TV with full DSTV connection. 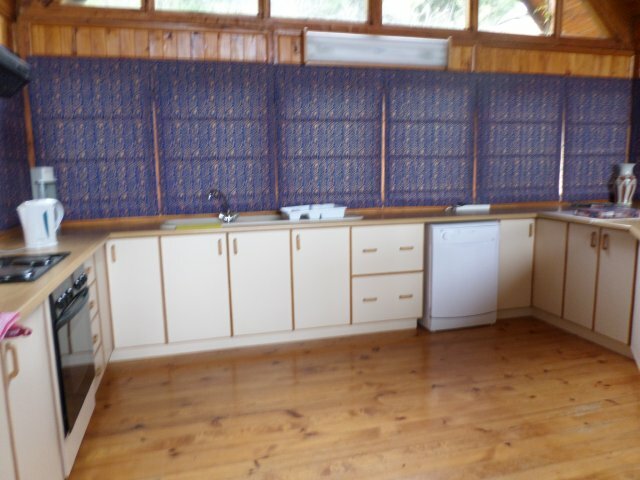 The kitchen is equipped with stove, oven, fridge/freezer, dishwasher, sink and breakfast counter. 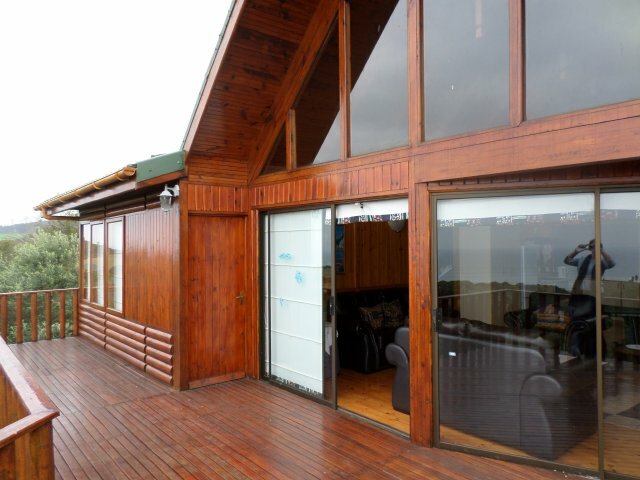 The dining area has a sliding door onto the back deck with built braai. 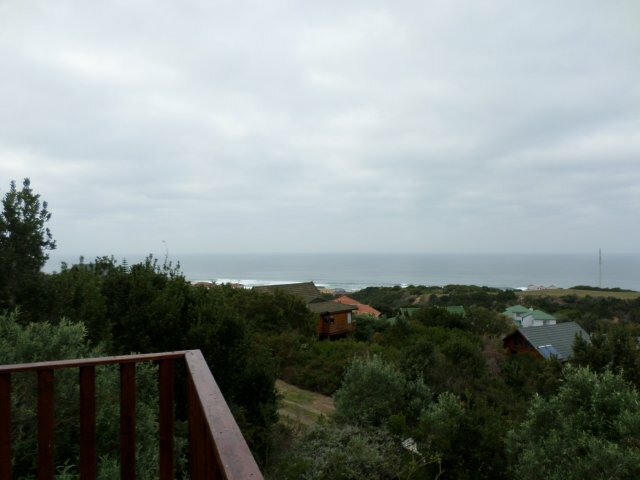 The master bedroom has a sliding door onto the deck with sea view. 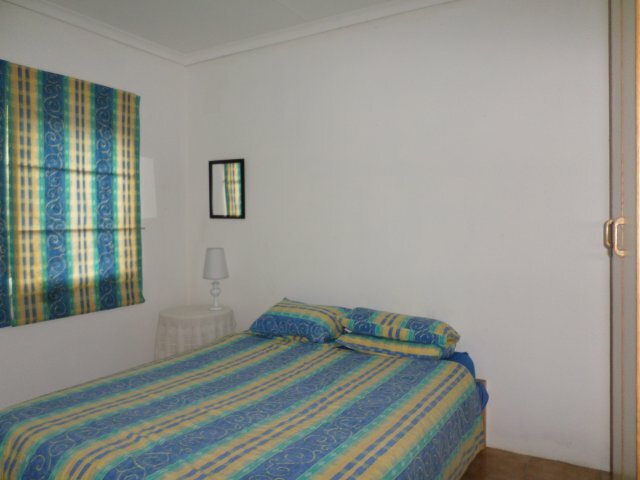 The master bedroom has a double bed with en-suite bathroom with shower, bath, toilet and basin. 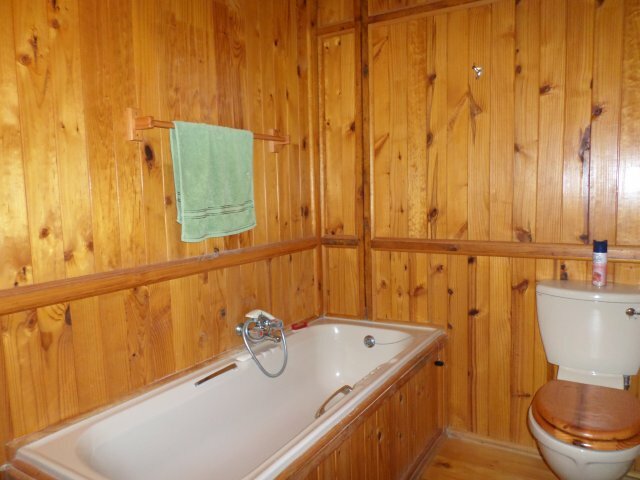 The other 2 bedrooms share a bathroom with shower, toilet and basin. 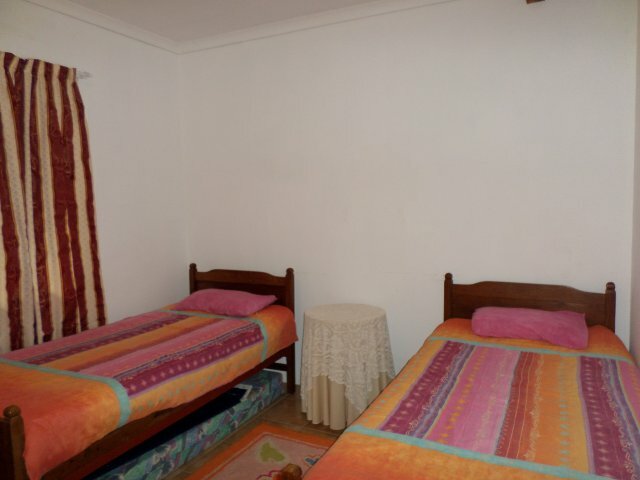 The one bedroom offers a sea view with double bed. 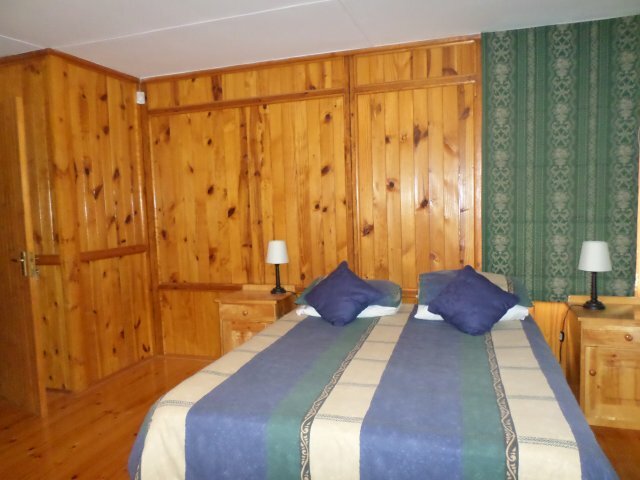 The other 2 single beds. 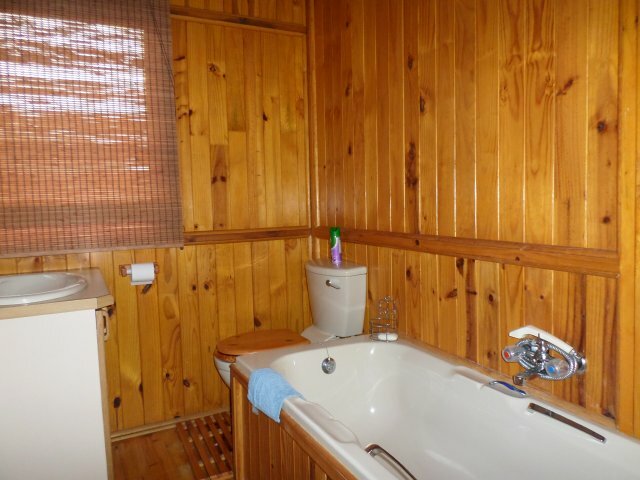 Linen is supplied, guest need to bring own towels. 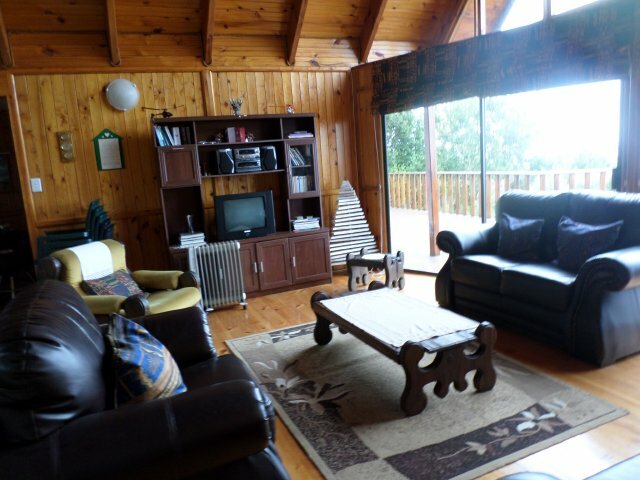 This is a well kept holiday house. We regret no pets welcome, guest are requested to smoke outside.